Czech MP in the European Parliament Jaromír Štětina made a public apology to the leader of the Crimean Tatar people Mustafa Dzhemilev for Czech President Miloš Zeman who called to put up with the Russian annexation of the Crimea. 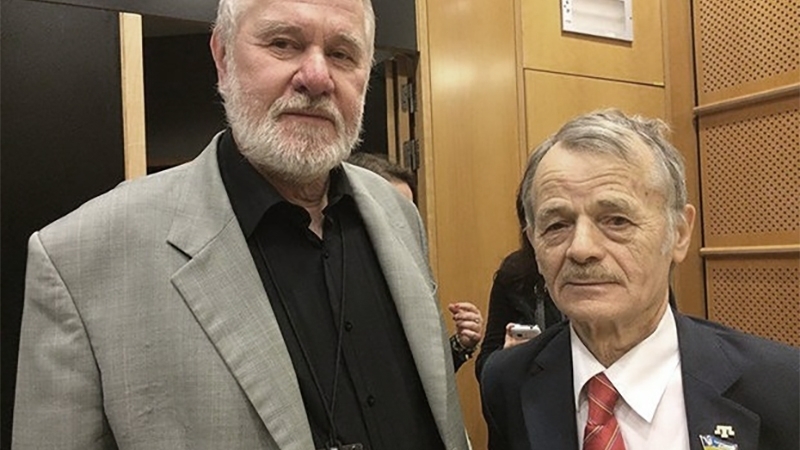 Štětina apologized at the conference on the de-occupation of Crimea in Brussels, in which the Presidential Commissioner of Ukraine for Crimean Tatar people Mustafa Dzhemilev and Deputy Chairmen of the Mejlis of the Crimean Tatar people Akhtem Chiygoz and Ilmi Umerov took part. The deputy recalled that during the Soviet times, Dzhemilev publicly opposed the "occupation of my country by the Soviet army and spent three or four years in prison for this courageous act." "I would like to thank him once again, but let me use this moment. Unfortunately, the President of my country, I mean Mr. Zeman, publicly called Mustafa to accept that the Crimea was occupied, that it belongs to Russia. It's embarrassing for me, I want to apologize publicly for you Mustafa," the deputy of the European Parliament said. These words were welcomed with applause. QHA reported that on January 31, the European Parliament is hosting a conference "4 Years of Occupation - Ways to Support the Crimea and the Crimean Tatars", dedicated to the annexation of Crimea by Russia. The organizers of the event were the public organizations "CrimeaSOS" and "International partnership for human rights", as well as the deputies of the European Parliament: Rebecca Harms, Petras Auštrevičius and Jaromír Štětina.